The half-day desert tour focuses on exploring the dune-belt between Walvis Bay and Swakopmund. 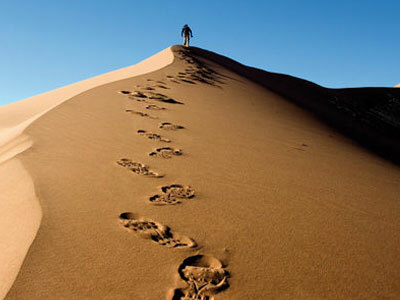 Do explore the Namib Desert and discover its many wonders. The word "Namib" means vast and empty and the desert tends to leave the casual observer with images of total desolation. But if you look closely and if an experienced tour guide points out what to be on the lookout for, you will discover an unbelievable abundance of fauna and flora, supported by the life-giving fog. Sidewinder snakes, White Lady spiders, Namaqua chameleons, Dancing Lizards and many more can be discovered, and you will be utterly amazed about the wealth of life in an area that, at first sight, seems dead. The desert tours also provide rare and exceptional photographic opportunities.